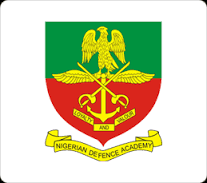 Nigerian Defence Academy 71st Regular Course Online Application Form Closing Date/Deadline Date for 2019/2020 Academic Session. This to inform the General Public and all Applicants that the Nigerian Defence Academy 71st Regular Course Registration/Online application commenced on Monday 22nd October 2018 and expected to end on Thursday 28th March 2019. Dear Applicants, Kindly be informed that the closing date for the 71st regular course application into NDA has been extended by two weeks and will now close on Thursday 28th March 2019. New applications will continue to be accepted provided they are submitted before the deadline of Thursday 28th March 2019. For application Guidelines click here.